Before deciding where to place a shuffleboard table, factor in the three feet of room that should be present on both ends of the table, as well as the comfortable walking room that you should have on the sides. 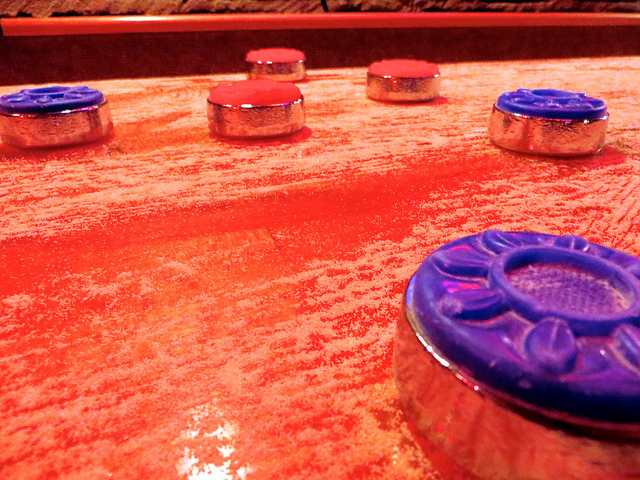 There are a multitude of factors to consider before setting your shuffleboard table down and starting to play. Be sure to account for them all to prevent you from running into walls or injuring yourself during a game. – Unlike table games such as pool, you aren’t making larger or backwards movements when you’re playing. While you may need up to 20 feet wide to accommodate for a game of pool, three feet of space behind each end should be plenty of space for a shuffleboard table. – Electronic score boards are a great way to keep track of your victory during a game, adding extra space on the sides of the table. If you’d like to add an automated scorer to your repertoire of accessories, be sure to move your table away from the wall. 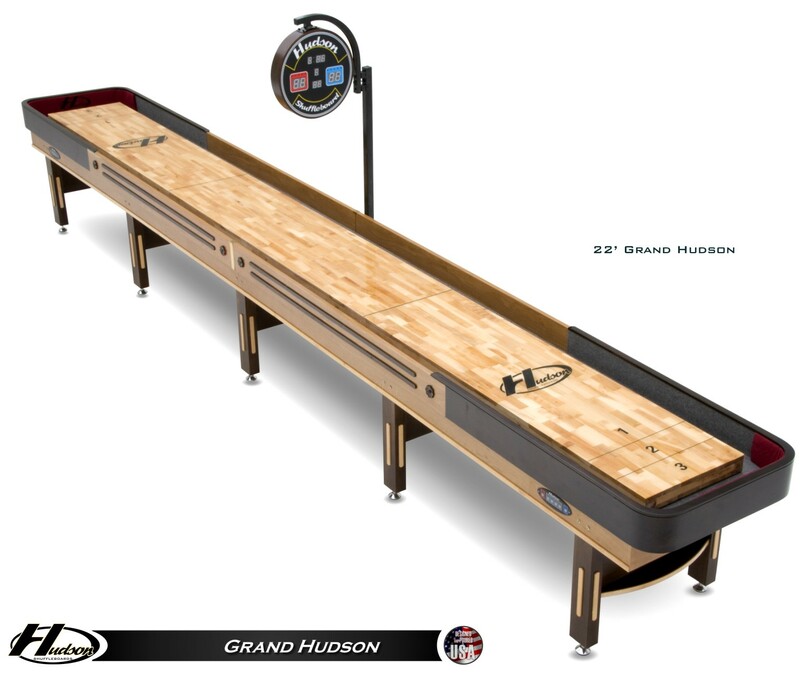 Hudson Grand Hudson 9ft Shuffleboard Table – 30% off at $3,599.00. 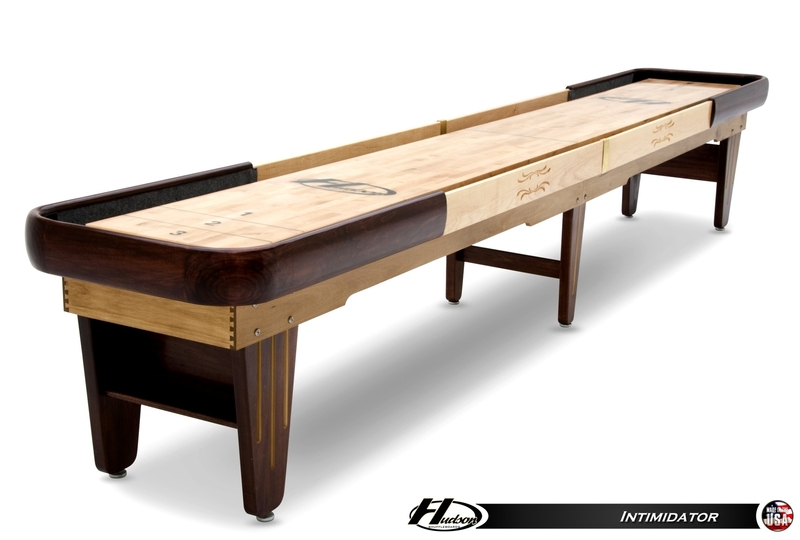 – Depending on the size of your game room, you’ll need to consider what size shuffleboard table is right for your space. If your room small, try propping your table against it to give you space elsewhere in the room. Also keep in mind having enough room to clean wax from the sides of the table to make sure you leave approximately 2 feet on each side to maneuver in these areas. Outdoor shuffleboard tables feature the same sizes as indoor tables with additional weather resistant materials to prevent premature aging in outdoor conditions. While the outdoors seems boundless, you have to keep in mind the proximity to things that may damage your table such as hoses, sprinklers, gas grills, fire pits, and trees with falling branches. Along with the 3 foot space on playing ends and 2 feet on the sides of the table, you’ll need to make sure your table isn’t within your sprinkler radius or other elements that may harm the finish of your table. Always measure in advance and plan out your area before placing your order. If you need assistance deciding what size table would be the right fit for your home, visit Shuffleboard.net or contact one of our expert consultants for individual attention. 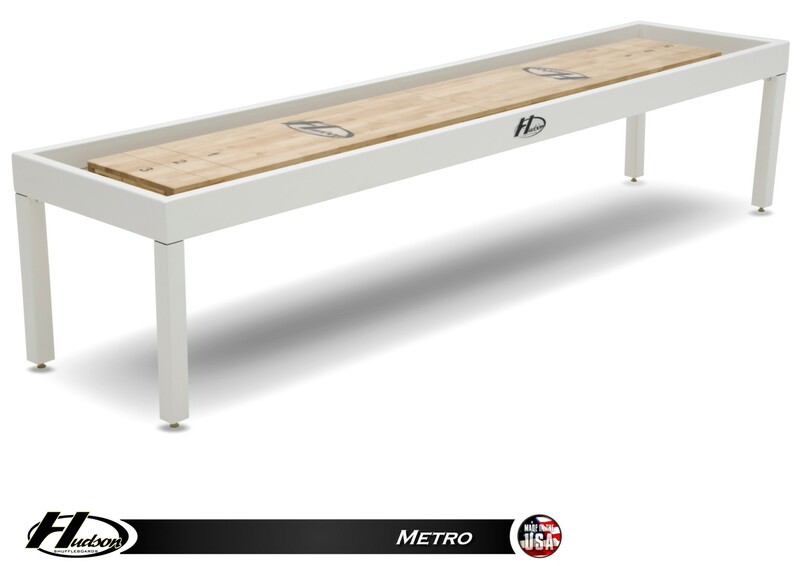 Shuffleboard.net has been the leader in online shuffleboard tables and accessories since 2001 with the best prices from the industries top brands including Hudson, Venture, and more.